It is well know that balance bikes help young children to learn the essentials of balance and steering before they graduate to pedal bikes, but how long should your balance bike last for? Most children love their balance bikes, but as they are usually in the hands of youngsters between the ages of 2 and 5 then they can expect to experience plenty of wear and tear, being thrown to the ground and ridden into obstacles along the way! The rate of progress will vary from child to child, but if they get their first bike between the ages of 2 and 3, then a good quality model should last them for up to 2 years to the point where they are confident on the bike and ready to progress to a larger model. We have already looked at the differences between wooden and metal balance bikes on this site, as wooden balance bikes do have a reputation for warping or losing shape – especially if they are left out in the rain. However, as long as you take good care of the bike and store it indoors or in a safe place such as a garage or a shed then there is no reason why a wooden balance bike shouldn’t last as long as a metal balance bike. As with anything in life, you tend to get what you pay for so if you decide to buy one of the cheaper balance bikes at the lower end of the market then it is likely that the bike will have reached the end of it’s life by the time your child has finished with it. If this is the case, then please make sure that you dispose of the balance bike in an environmentally friendly way! 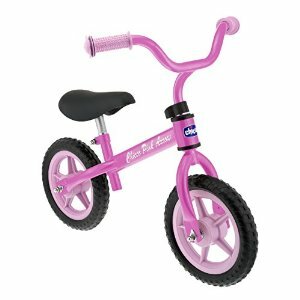 More expensive and better quality balance bikes should stand the test of time, so there is a good chance you will be able to hand the bike down to younger brothers, sisters or cousins. The better bikes may even retain some value for resale. As long as you make sure that you choose the best size bike and a style that you child enjoys – then almost every balance bike will get your child confident on two wheels and they will have great fun at the same time!